Matt Aylward is one of the top dancer/teacher working in the LA dance world. Hailing from Charlotte, NC, Matt has danced for artists such as Justin Timberlake, Usher, Rihanna, Jason Derulo, Katy Perry, and Joe Jonas, and been on multiple television shows like Glee, Ellen, Late Night with Jimmy Fallon, and Good Morning America. 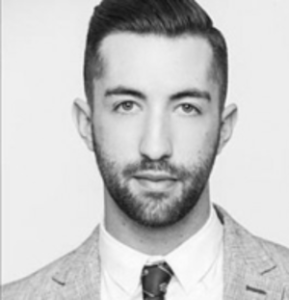 Matt also can be seen in Justin Timberlake’s monster VMA Performance at the Barclays Center in Brooklyn, as well as the “Suit & Tie” music video featuring Jay Z. Matt also grew up with a strong technique background in tap as well as contemporary, and can teach all 3 styles!!! Recently he has become one of the faculty members traveling with Adrenaline Dance Convention on their regional tour season. His unique, smooth style is great for all ages, and provides for a great learning experience! I’m just here to have fun and do what I love more than anything.